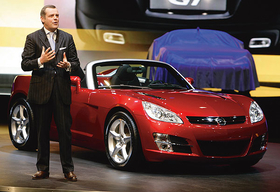 Alain Visser will focus more on Opels sales strategy. The move is likely to include a greater role for Chevrolet in Europe as GMs entry brand while also making it easier for Saab to be spun off into a separate company. The change also will allow each brand to be more responsive to market conditions, Brent Dewar, GM Europes head of sales, marketing and aftersales told Automotive News Europe. This year will be as challenging as 2008. We want to speed up decision making and focus our resources, Dewar said. "We want to speed up decision making and focus our resources," said Brent Dewar, GM Europe sales boss. As part of the initiative, three GM Europe executives will take control of sales and marketing at the companys key brands March 1. 1. Alain Visser becomes GM Europes vice president for Opel. Vissers old job was GM Europe chief marketing officer, a job that is being abolished as the company gives the former group-run responsibility to the brands. 2. Wayne Brannon will become GM Europes vice president for Chevrolet. 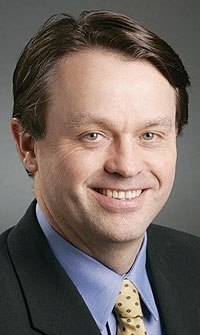 Currently, Brannon is executive director of Chevrolet Europe. 3. Jan-Ake Jonsson remains managing director of Saab. GMs Vauxhall brand in the UK will be unaffected by the change, with its managing director, Bill Parfitt, reporting directly to Dewar on sales matters. Dewar said making the changes now will allow Opel, Chevrolet and Saab to develop their own marketing strategies for the launches key of models this year. Opel will launch a new generation of its Astra lower-medium car, Chevrolet will introduce the Cruze lower-medium car and Saab will launch a new 9-5 medium-premium car. Dewar said there would be some cost savings as a result of the reorganization, although this was not the main reason for the change. Chevrolet is GMs value-for-money brand in Europe. Opel is its mid-priced volume seller and Saab is a near-premium carmaker. Chevrolets Brannon said the restructuring will boost the brands profile in Europe. We intend to be more of a player in Europe, he said. Despite the economic downturn, Chevrolet increased its sales in Europe, including Russia and Turkey, by 10.7 percent to 507,000 cars last year. Brannon provided an example of how the structural change should make the brands more responsive. He said that earlier this month he arranged the movement of 400 Chevrolets from one country to another with a 45-minute phone call. Other areas where marketing could be changed include pricing and marketing campaigns adapted to fit each market. Saabs Jonsson said the new structure would let the carmaker react faster to changes in the market.